Abu Dhabi: It is well-known that diabetes is a disease of the developed world, with 20 per cent of adults in the UAE known to be suffering from it. But another serious condition, non-alcoholic fatty liver disease, is silently growing in prevalence, and its repercussions could be just as severe, top international doctors have warned. Nearly a third of all liver ultrasounds for resident adults show the presence of too much fat in liver cells, according to reports from a top multi-specialty hospital in the capital. Over time, this can lead to cirrhosis of the liver, develop into liver cancer, or be correlated with the development of cardiovascular disease, Dr Lee Kang Hoe, a senior consultant at the Singapore-based Asian American Liver Centre, told Gulf News. 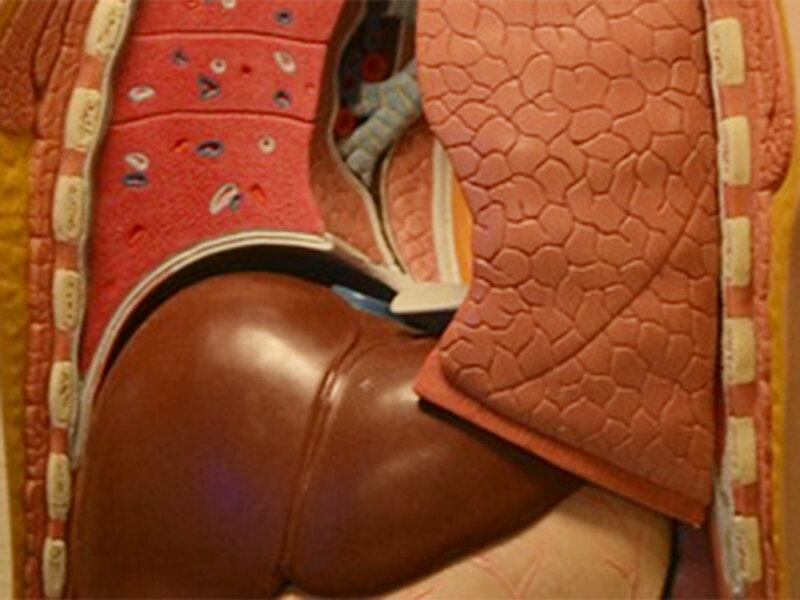 About 40 per cent of patients with non-alcoholic fatty liver disease can eventually develop liver cirrhosis or advanced liver disease, marked by inflammation, cell damage and fibrous thickening of tissue. This liver damage in itself could necessitate a transplant, or morph into liver cancer over time. Moreover, 10 per cent of patients without any cirrhosis also end up with liver cancer. “Even if the patient does not develop liver-related complications, the presence of fat eventually leads to heart failure that worsens over time. The only way to ensure well-being is a lifestyle change that helps the patient lose 10 per cent of their body weight,” the doctor said. Unfortunately, patients are poor at following through, especially as these healthy behaviours are difficult to adopt for older people. But Dr Kang Hoe said there is still an opportunity to stem the tide of liver disease in the UAE, where much of the population is still young. “Advanced liver disease develops over time, and so increasing age is a risk factor. So is the presence of metabolic syndrome, as well as conditions like diabetes, hypertension and hyperlipidemia. But I believe that better awareness about the risks of fatty liver disease will induce people to take better care of their health,” he added. The Liver Centre is one of the most prominent transplant centres in Asia, and of their 250 liver transplants over the last decade, a third have been performed on Emirati patients. The majority of these patients suffered from end-stage liver disease as a result of hepatitis B or C, said Dr. Tan Kai Chah, a surgeon at the Liver Centre. “The incidence of these diseases is on the decline though, because new anti-virals developed about five years ago have proven very effective against hepatitis C, whereas vaccinations given at birth prevent hepatitis B. On the other hand, we are increasingly seeing more cases of liver damage due to fatty liver disease,” said Dr Kang Hoe. Studies estimated that about 10 per cent of the population in the GCC region has fatty liver disease. But as reported by Gulf News in 2016, doctors say that the true prevalence of the condition could be as high as 30 per cent of all adults, as well as a growing number of children. The disease is more common among women, and the majority of patients are diagnosed between 50 to 60 years of age. But Dr Kang Hoe recommended that people with risk factors like obesity and metabolic syndrome get themselves screened early. “It would take a simple blood test that measures liver enzymes. If a patient’s enzymes are not at the right level, they can then adopt healthier habits that will prevent liver damage,” he advised.